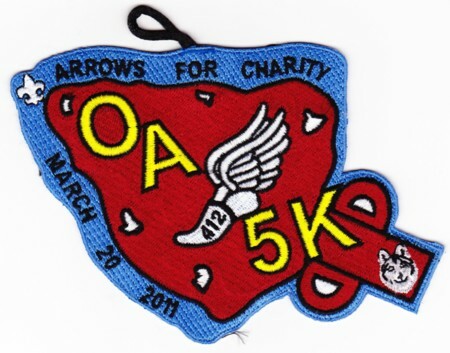 In March 2011 we were talking about an event Patch from Buckskin Lodge #412, their 5K Arrows for Charity Run. Anyone know if there will be a Run (and patch in 2016? As far as I know, this is the only NYS OA Lodge which has issued for a run. 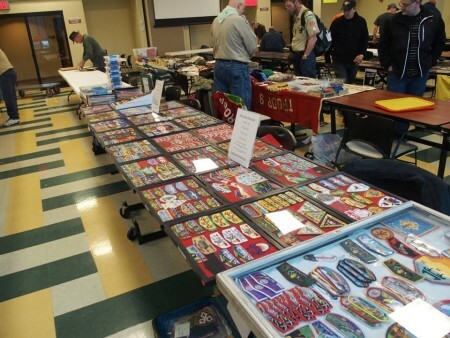 What other unique events have lodges issued patches for? Gene Berman recently responded to a question on Patch-L with what constituted a name or number collection and some of the variants. Traditionally, for number collectors who seek a number once to fill that number’s slot. However, traditionally almost all “name collectors” came from people who were already number collectors and wanted all different names associated with a number which usually meant a new lodge and its superceded lodge (the merged higher number did change but was not vacant). That was the original definition of a name/number collector. Therefore, while I suppose there could be people collecting OA by name, there would not be many. Number collectors who got near the end of the set traditionally morphed into name/number collectors as they started collecting the names associated with each number as well. And some started from the get-go to collect the numbers and the names. Since each person tailor’s his or her collection to personalize it like picking the components of your new car on line, many sub-groupings have emerged. Some collect what is called a “Classic” name/number set. That is a set where the patch required to fill the slot is the original patch from the lodge originally assigned that number. For the most part this discounts the reissuance of numbers beginning circa 1972. 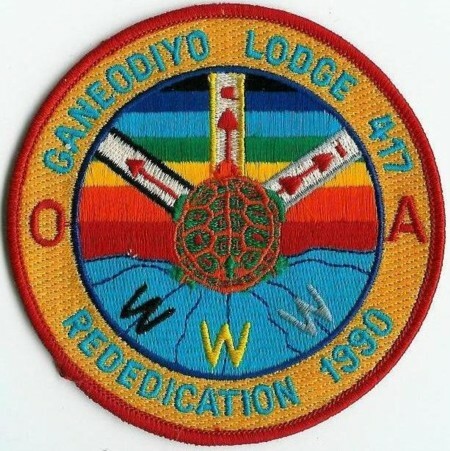 For example, a Classic set collector would need a 155 Michikinaqua and a 219 Calusa but would not want the modern lodge patches that took those numbers, 155-Nisqually or 219-Kayanernh-Kawa. A number collector (not classic) would accept either. A name/number collector would want both. Some people tailor their collection to only collecting flaps so if a lodge never issued a flap shaped patch such as 182 Lone Wolf they would not want anything from Lone Wolf and the 182 slot would be only for the flap from White Beaver. Some folks will accept any shape patch to fill the number and some will only take a non-flap shaped patch if the lodge never issued a flap. Some only want first flaps and some only want first solids. Others only want first issues regardless of shape. My name/number collection which I deem complete has a representative flap from every name and number that ever existed if the lodge produced a flap. This includes after merger the superceded lodge, the new lodge and the merged lodge. If there was a restricted flap and trader such as 90S1 and 90S2 I wanted and collected both. If it did not, the slot is filled with the patch they did produce. If they never had any patch my collection accepts a neckerchief such as 32 Tahawus or 261 Missituk. If there never was a patch or neckerchief I will accept a “flat neckerchief slide” such as leather such as Ne-Pah-Win, such that it can fit into a book or frame. Your collection may be different and I am sure it most likely is just as our cars built on the internet from scratch would be. It is likely that every lodge that ever existed for a reasonable period of time had some sort of memorabilia. How far an individual collector wants to take it, likewise is up to him or her. Horned toads (mummified I assume, wooden or metal talisman, lots of stuff out there for those that want to go to that extreme). Greater New York Councils has just released an Eagle CSP which is also being used as a fundraiser to help send Scouts to Camp using their new NYC skyline design. This Summer help send a Scout to camp. Every single gift, regardless of amount, helps Scouts realize their potential. 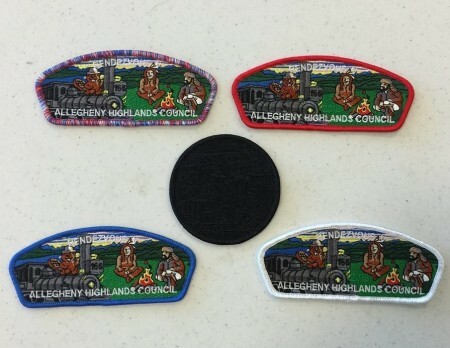 Gifts made in the amount of $25 and more will be recognized with our new Greater New York Councils, Eagle Scout Council Shoulder Patch. You can order the CSP or make a donation here. 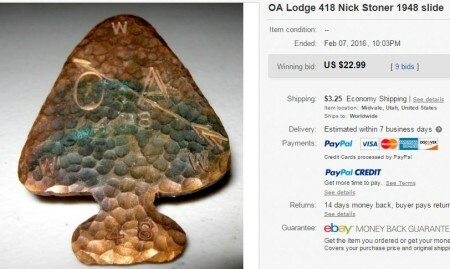 A neckerchief slide attributed to Nick Stoner Lodge #418 recently ended on eBay. The Blue Book shows a charter year of 1949 for the Lodge, but they certainly could have been meeting before the charter date. Can anyone confirm the provenance of this slide? There were 5 unique bidders for this slide, and two of them stayed in to the end when the hammer came down it sold for nearly $ 23.00. In 1953 Nick Stoner changed its name to hay-En-Da-Ne-Gea Lodge #418. The 37th Annual Northeast TOR, is back this weekend on Saturday March 19, 2016, for the first time (to my knowledge) it will be held on a Saturday. This is a solid local TOR, and one of my regular TOR’s. I’ll be there with two tables, hope to see some of you there. Tod Rogers sends along a report on the Fifth Annual Allegheny Highlands Rendezvous TOR. Take it away Tood. This is the fifth year for the Allegheny Highlands Rendezvous TOR and it keeps getting better each year. The TOR committee actively began looking for other spaces after the 2015 TOR and explored options to make it a multi-day show. They succeeded in finding a great location while extending the duration of the event. The show moved from Limestone NY, to Salamanca NY. Salamanca has several great hotel options and the Seneca Alleghany Casino is right up the road and was a great destination for post-TOR meal and entertainment options. The TOR itself moved to the community center. 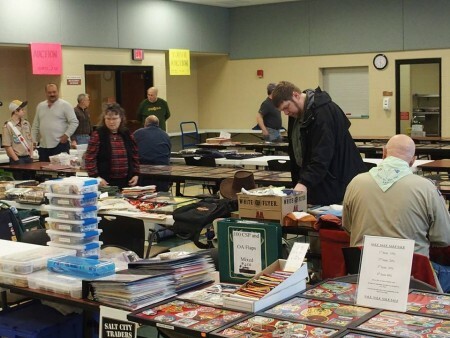 All 30+ tables were sold out again this year with many of the vendors arriving early on Friday. I got there around 4PM and 1/2 the room was already set up. There are so many great things about this show. Despite being one of the smaller shows in terms of table size, they have a large walk in crowd, enthusiastic volunteers and a large number of scouts and scouters in uniform. Their patch auction is also conducted by a real auctioneer which adds to the experience. They issued five unique CSPs for the event. There’s one CSP open to anyone who attended. One border color for vendors who were there on Friday. Another for anyone renting a table. They had a CSP for anyone making auction donations in excess of $25. Not available but issued was a CSP for members of the TOR committee that make it happen. They also held several raffles with the prizes being TOR committee CSPs from 2015 and 2016. The lodge service team also issues a Service Round for those who volunteer and assist the council and/or help in the kitchen. I had a blast this year and Robert Morris and his team do a wonderful job. The buffet with all you can eat Prime Rib at the casino was a great way to close out Friday night. Looking forward to see what they do in 2017! Thanks for the report Todd, hopefully one year work will cooperate and I’ll be able to get there.